by Stephen Cope, Author of Yoga and the Quest for the True Self. Published 2012 by Bantam Books. 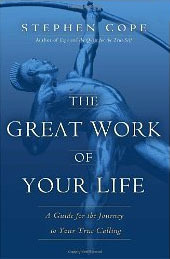 Jeffrey Peters review: “I have read many of Steve Cope’s fine books, but “The Great Work of Your Life” is by far my favorite. It really is “A Guide for the Journey to Your True Calling” I find the book not only exhilarating, but encouraging of thinking beyond one’s own borders and self imposed restrictions. I have already read it twice, and it sits on my desk for frequent reminders and re-reading”. Within you is the power to create anything you truly desire. 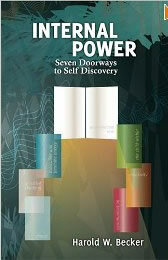 Internal Power – Seven Doorways to Self Discovery is an enlightening guide that shows how the inspiration of our highest potential is within each of us and how we can identify and release the thoughts and beliefs that no longer serve us. Take a guided tour through a wonderful Grand Hallway and explore Seven Doorways that help you understand who you are. Discover the magical potential of your own Internal Power as you journey through Choice, Communication, Positive Thinking, Creativity, Masculine and Feminine Energy, The Child Within, and Unconditional Love. Reclaim your deepest wisdom and step into a life of your choosing. Using powerful visualizations and experiential exercises that allow you to expand these inner qualities at a relaxed pace, Harold W. Becker reveals how to liberate your Internal Power by using the energy of your thoughts and feelings to transform and invigorate your personal life. Blending humor, compassion, and vision, he clearly helps you open your heart to consciously create in a practical and simple manner. This 15th anniversary revised edition celebrates this powerful process of self discovery. Perhaps the most universally sought after expression and simultaneously least understood in our world today, Unconditional Love, is the first of book of its kind to unfold this awareness in a way that everyone will quickly comprehend. A true contemporary visionary, Harold W. Becker masterfully shares the deeper practical meaning behind this dynamic energy and illustrates how unconditional love operates on every level of life. Simply defined as an unlimited way of being, he clearly demonstrates how this insight weaves through all facets of our being including our physical, emotional, mental and spiritual bodies. Harold reveals how everything we need to know is already within us and that anyone can live a more balanced life of love, wisdom and personal power while being fully present and aware in each moment. This profound and inspirational writing is enlightening, uplifting and transformative while being timeless, straightforward and easily understandable. Like a roadmap to the inner self, this unique book moves beyond the traditional focus of self-help and captures the essence of a powerful, underlying movement to personal mastery. Harold helps the reader discover that we are really angels in human disguise and that by loving and accepting ourselves unconditionally we begin to celebrate and enjoy our journey. When we change our life, we literally change the world. 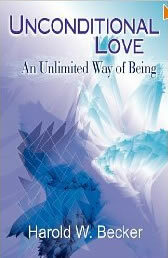 This beautiful and remarkable book is a collection of 63 universal qualities of unconditional love. With each turn of the page, these simple and inspirational expressions reveal how these potent aspects weave through every part of your life. Author Harold W. Becker eloquently shares how Peace, Harmony, Compassion, Creativity, and Abundance for example, are all qualities that come from your core essence and how each embodies the heart of unconditional love. When you are conscious of these powerful characteristics like Courage, Choice, Gratitude and Potential, you transform your personal understanding and experience of love into greater awareness. Created as a companion to his highly successful and groundbreaking book, Unconditional Love – An Unlimited Way of Being, this innovative, empowering and introspective book brings the many facets of your life into focus. Used as a daily reminder or a meditative contemplation, Unconditional Love Is… Appreciating Aspects of Life can help you develop a greater understanding of how to expand and experience the fullness of each quality of love in your everyday life. Inspiring Unconditional Love is an amazing heartfelt collection of thought provoking timeless truths and universal impressions by visionary author, Harold W. Becker. These simple and profound statements encourage you to become aware of the power of your thoughts and feelings, help you discover your personal strength, restore inner peace and harmony, and cultivate your natural desire to genuinely live life to the fullest. Each of the 301 extraordinary quotes found on these artistically crafted pages is like a meditation on the very essence of love. You will find these Reflections from the Heart to be practical and useful reminders empowering you through self awareness, self acceptance and love. Use them as a source of insight, inspiration, and encouragement. Embrace your creative magnificence and deep personal wisdom and know that life is all about unconditional love! Visionary author Harold W. Becker brings forth another extraordinary compilation of empowering quotations direct from his heart to yours. In this encore presentation to his original book, Inspiring Unconditional Love, he shares an entirely new collection of his timeless and intuitive insights on life and love. Inspiring Unconditional Love 2 – More Reflections from the Heart is filled with 301 practical, useful and perceptive statements that encourage you to become conscious of the power of your thoughts and feelings, aligning them with the essence of your love to create a more peaceful and joyful life. Simply contemplating each line brings about a transformative awareness that restores confidence and trust in your own wisdom, strength and ability to live every moment with harmony and love. With each turn of these creatively designed pages, you will find your heart expanding as you embrace your unlimited potential. Life’s journey is a beautiful expression of the unconditional love that you are! In a distant, timeless place, a mysterious prophet walks the sands. At the moment of his departure, he wishes to offer the people gifts but possesses nothing. The people gather round, each asks a question of the heart, and the man’s wisdom is his gift. It is Gibran’s gift to us, as well, for Gibran’s prophet is rivaled in his wisdom only by the founders of the world’s great religions. On the most basic topics–marriage, children, friendship, work, pleasure–his words have a power and lucidity that in another era would surely have provoked the description “divinely inspired.” Free of dogma, free of power structures and metaphysics, consider these poetic, moving aphorisms a 20th-century supplement to all sacred traditions–as millions of other readers already have. n the rush of modern life, we tend to lose touch with the peace that is available in each moment. World-renowned Zen master, spiritual leader, and author Thich Nhat Hanh shows us how to make positive use of the very situations that usually pressure and antagonize us. For him a ringing telephone can be a signal to call us back to our true selves. Dirty dishes, red lights, and traffic jams are spiritual friends on the path to “mindfulness”—the process of keeping our consciousness alive to our present experience and reality. The most profound satisfactions, the deepest feelings of joy and completeness lie as close at hand as our next aware breath and the smile we can form right now.Lucidly and beautifully written, Peace Is Every Step contains commentaries and meditations, personal anecdotes and stories from Nhat Hanh’s experiences as a peace activist, teacher, and community leader. It begins where the reader already is—in the kitchen, office, driving a car, walking a part—and shows how deep meditative presence is available now. Nhat Hanh provides exercises to increase our awareness of our own body and mind through conscious breathing, which can bring immediate joy and peace. Nhat Hanh also shows how to be aware of relationships with others and of the world around us, its beauty and also its pollution and injustices. the deceptively simple practices of Peace Is Every Step encourage the reader to work for peace in the world as he or she continues to work on sustaining inner peace by turning the “mindless” into the mindFUL. Now, in her own words, Mother Teresa shares the thoughts and experiences that have led her to do her extraordinary charitable work. A candid look at her everyday life–at the very simplicity and self-sacrifice that give her the strength to move mountains–A Simple Path gives voice to the remarkable spirit who has dedicated her life to the poorest among us. Charged with sensuality and passion, Pablo Neruda’s love poems are the most celebrated of the Nobel Prize winner’s oeuvre, captivating readers with earthbound images and reveling in a fiery re-imagining of the world. Mostly written on the island paradise of Capri (the idyllic setting of the Oscar-winning movie Il Postino), Love Poems embraces the seascapes surrounding the poet and his love Matilde Urrutia, their waves and shores saturated with a new, yearning eroticism. Gene sharp is one of the modern masters of nonviolence, and this series (and specifically this book) demonstrate why. I disagree with the way he compares nonviolence to a weapon system, but I’m more of a purist. It’s also probably necessary to do so in order to convince military leaders to take it seriously, so it’s understandable in that respect. This book is amazingly detailed and goes into every nonviolent method. I particularly enjoyed the chapters with more psychological aspects to them. One of the best books (and authors) on the topic. The Jefferson Bible, or The Life and Morals of Jesus of Nazareth as it is formally titled, was Thomas Jefferson’s effort to extract what he considered the pertinent doctrine of Jesus by removing sections of the New Testament containing supernatural aspects as well as perceived misinterpretations he believed had been added by the Four Evangelists. Using a razor, Jefferson cut and arranged selected verses from the books of Matthew, Mark, Luke, and John in chronological order, mingling excerpts from one text to those of another in order to create a single narrative. After completion of The Life and Morals, about 1820, Jefferson shared it with a number of friends, but he never allowed it to be published during his lifetime. The most complete form Jefferson produced was inherited by his grandson, Thomas Jefferson Randolph, and was published in 1895 by the National Museum in Washington. Sir John Templeton argues that agape love is not exclusive to any one religion, but it is an underlying principle in all major world religions. By agape love, he means love that is unlimited, pure, and unconditional as well as altruistic. Templeton argues that agape love expresses a unity of purpose that is common to all people. It holds within it the opportunity to transcend differences of religious beliefs and to live in joy and peace. Agape involves feeling and expressing pure, unlimited love for every human being, with no exception. A new book in Facets: brief, brilliant treatments of vital aspects of faith and life. Reviving a publishing initiative and innovative format from Fortress Press’s early days, we proudly re-introduce Facets, a series that answers contemporary calls for bold thinking, clear ideas, and words that succinctly go to the heart of the religious and moral quest. Facets offers gems of religious writing from leaders who address today’s more important or pressing questions-biblical, theological, and moral. Each book, offered at an economical price, presents a special angle that uniquely illumines an area or issue. 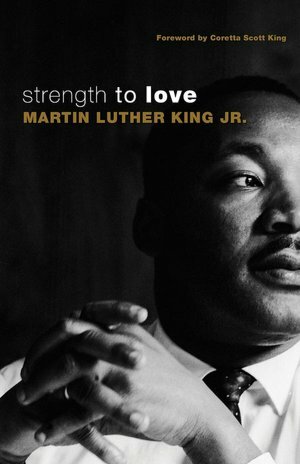 Eloquent and passionate, reasoned and sensitive, this pair of meditations by the revered civil-rights leader contains the theological roots of his political and social philosophy of nonviolent activism.